Legacy Recycling is the Milwaukee Computer Recycling provider of choice for both residential and commercial clients. Whether you are looking to recycle upwards of 1500 network servers, 500 laptops or PC’s, or just a simple old ancient desktop computer, we are an affordable one-stop provider. How does the process work? Where do we take your old computers? Our recycling technicians disassemble each electronic unit, sorts out the component parts, and determine the proper processing facility. If you have any data that you would like to have destroyed, it is handled only by authorized personnel and kept in a secure location. All parts are then shipped to R2/ISO certified recyclers. Legacy Recycling takes the work out of scrapping old computers, electronics, and other miscellaneous metal. We are fast, dependable, friendly, and affordable. Sometimes we even pay you for your scrap. Our goal is to make your experience with our company a pleasure. Call Legacy Recycling today for all your Milwaukee E-Waste Recycling needs. 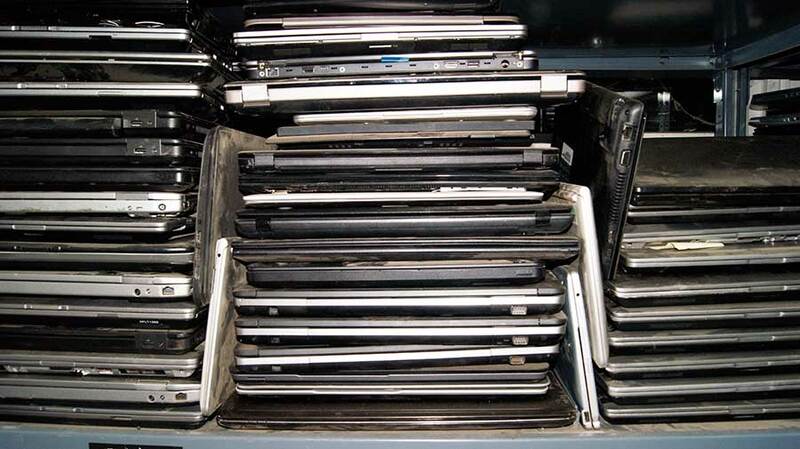 We are the electronic recycling Milwaukee specialists. Milwaukee Electronics Recycling Season Is Here! Legacy Recycling’s mission is to provide a cost effective way for our community residents and corporations to responsibly dispose of their old electronics. By recycling the technology of today we are all helping ensure green spaces for tomorrow.